Want that feel-like-home vibe as your adventurous spirit takes you places? Experience maximum coziness on the road while traveling in a spacious and elegant campervan that ensures a pleasant and friendly atmosphere. This vehicle comfortably accommodates up to 3 people. It provides one fixed double bed and a seat that easily folds down into an additional bed if needed (very convenient for a child, for example). The living area ensures a pleasant and friendly atmosphere. Have fun making meals in a nice cooking area that offers you three hubs for cooking and a water basin with cold and hot water. In addition, there is extra cabinet space where you can store all the kitchen utilities you need on your road trip. 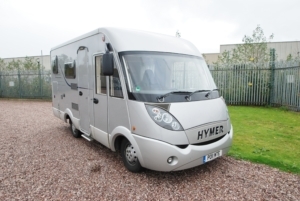 When traveling in Hymer B504 CL, weather and outside temperatures present no inconvenience. Its standard equipment includes a Truma heater. 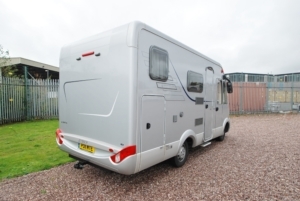 The latter ensures that heated air is circulated throughout the motorhome, which, in turn, makes the van very pleasant to sleep in. Also, you might find it interesting that warm air touches the windshield from the inside, thus preventing condensation and making the air inside the van purer and healthier. The large bathroom/toilet space provides you with all the necessities to enjoy your personal care while traveling. At the rear of the vehicle, there is a spacious garage offering enough storage area for any additional baggage like bicycles or other equipment. Are you a traveler who likes having abundant space in their vehicle? 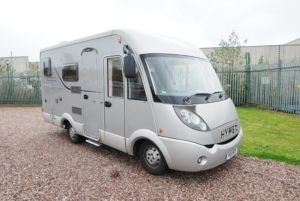 If so, Hymer B504 CL is the perfect ride for you. Ample room equals ample comfort. 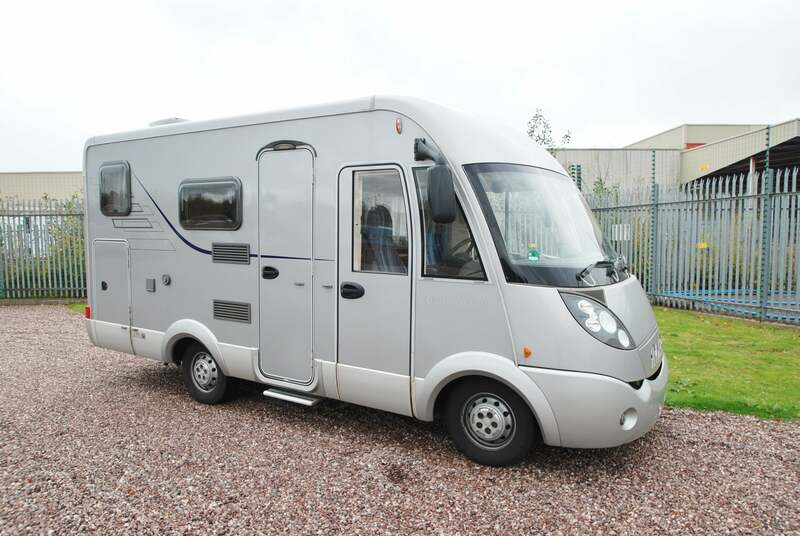 With its spacious interior, and especially its standing height of 200 cm, this van ensures maximum coziness. 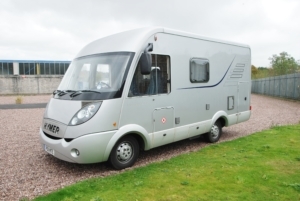 Interested in renting Hymer B504 CL for your holiday?